Caption: (L – R) Men’s captain, Stuart Mackenzie, Sheena Dayman, Harry Redknapp and ladies captain, Helen Strawford. Alliss Invitational Charity Golf Day, last September. 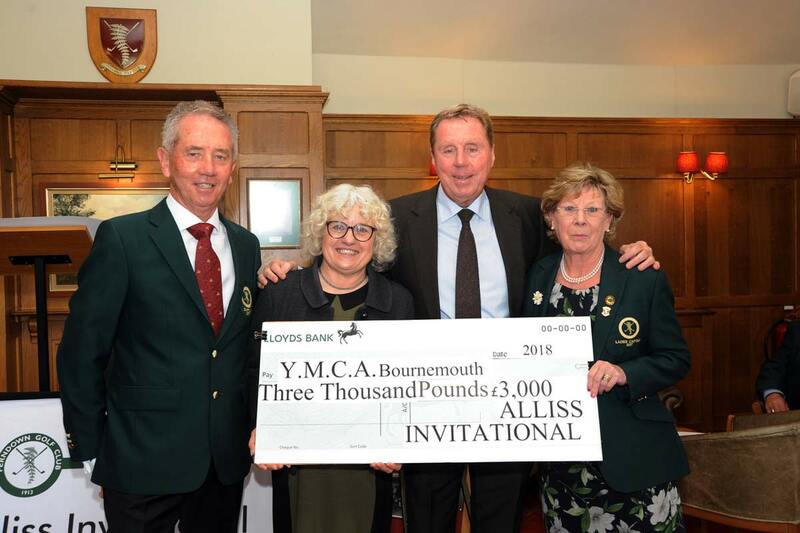 Former AFC Bournemouth, West Ham, Portsmouth, QPR and Tottenham manager, Harry Redknapp, presented the cheque to Sheena Dayman, YMCA Bournemouth’s events coordinator at the golf club earlier in the year. The Alliss Invitational Charity Golf Day 2017 was held on behalf of the Peter Alliss Wheelchair Crusade, which provides powered wheelchairs unavailable on the NHS. Other charities also received support.